Lewis Hamilton returned to the scene of where it all started to unravel last year and talked about the new calmness that surrounds him this season. Hamilton, who is aiming this weekend to become the sixth different winner in as many races, has turned it round to become arguably the most impressive driver in 2012, starting the season with three podium finishes. But in every race he has been dogged by ill fortune or team errors. In the first race, in Australia, he started on pole but was unlucky with the use of the safety car. In Malaysia he again started on pole only to be hauled back by problems at two pit stops. In China he started second but was put back five places because of a gearbox change. Hamilton, a winner here in his championship year of 2008, has forgiven Monaco so completely for last year’s problems that he even moved to the principality a few months ago. “I love it here. To be able to wake up in your own bed and drive just down the road and be at work is a fantastic feeling,” he said. “Today was the first experience of that but I’m sure it will make quite a big difference. When I lived in Switzerland it was one of the most beautiful countries I’d ever been to. But I was living away from the city and it was very quiet. Here it’s sunny every day, there are great restaurants a couple of minutes from where I live, there’s a gym, a pool and almost every day I go running round the track. 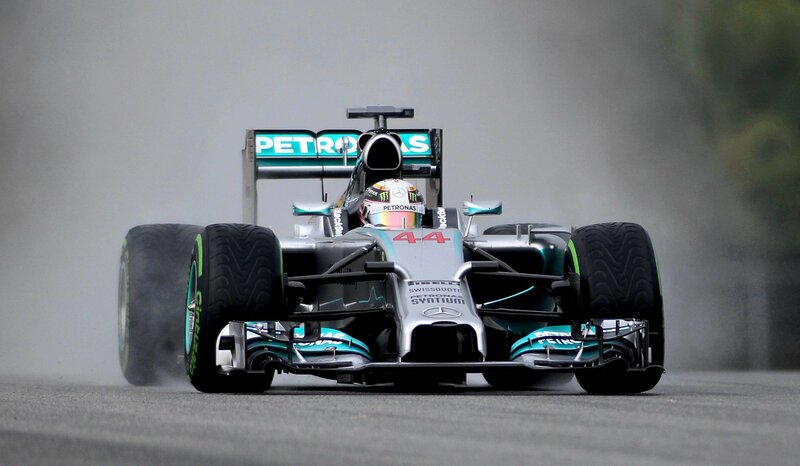 © Lewis Hamilton - F1 - Mercedes Petronas. Montagu Media UK.